This activity is designed as a family literacy bag that can be sent home with students. 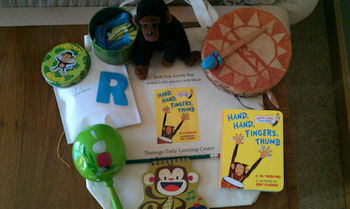 4 fun activities are written to lead parents in literacy development activities. The activity descriptions are formatted to be printed on 4X6 notecards and installed in a dollar store picture album. In addition to the literacy games this product includes an inventory list to help you build the bag for your families. Give to specific families to target learning needs or make available to all your families to encourage quick and fun literacy development at home.